toybot studios: CURE Spooky Boogie plus Gee: Medicom Project 1/6 Exclusive...! 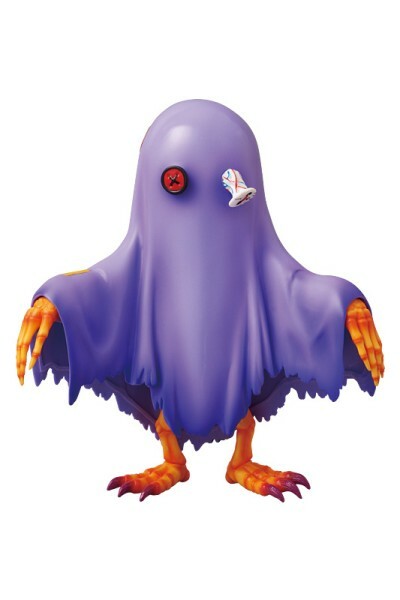 CURE Spooky Boogie plus Gee: Medicom Project 1/6 Exclusive...! I'm a HUGE fan of CURE Toys, but one of the few I did not pull the trigger on is the first version of this Spooky Boogie. What I love about Cure Toys is the gimmicks. Either a mask with weapon or inserts. In the case of Spooky Boogie, I like the skeleton but not the gimmick which is the bedsheet or Gee. I think if the Gee was transparent, it would be more appealing. As it now, the Gee covers up the best part. Yes, I know it's supposed to look like a ghost.